The BADWATER CAPE FEAR race takes place on Bald Head Island, inNorth Carolina. Bald Head Island and nearby Southport, NC (featured in the film “Safe Haven”) are ideal vacation get-away spots for the entire family, located less than one hour from Wilmington, NC and its major airport with Delta and US Airways service. (Flying into Myrtle Beach, SC is another convenient option.) 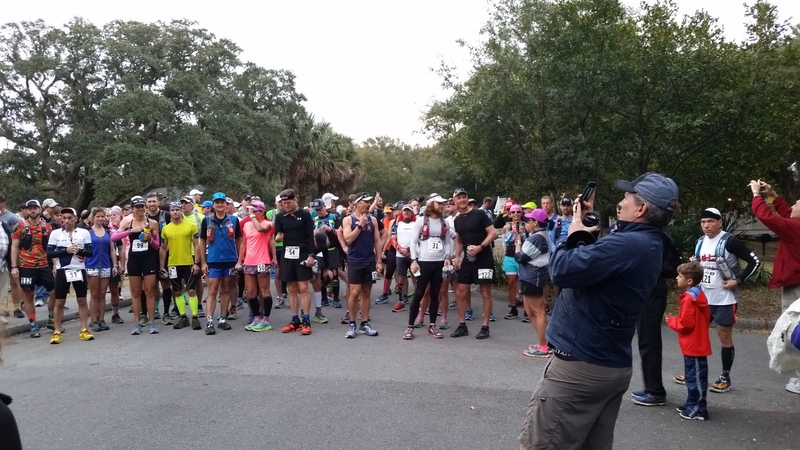 Due to the remarkable beauty and quaint southern charm of this area, as well as this impeccable, authentic BADWATER race experience, many Badwater Cape Fear participants are now making this race an annual pilgrimage! The main event is the51.4-mile BADWATER® CAPE FEARrace. Up to 150 runners will be accepted for this event. This route includes 12 miles on Bald Head Island roads and trails, then TWO round-trip runs to Fort Fisher on East Beach, making for 38.2 miles of beach running. This event has a 14 hour cut-off, plus an intermediate cut-off of 8 hours at mile 32 (after one round-trip to Fort Fisher) to finish officially. Entrants who want to stop running at mile 32, or who miss the eight-hour cut-off at mile 32, so long as as they reach that 32-mile mark within nine hours, will be re-categorized as 50km finishers. 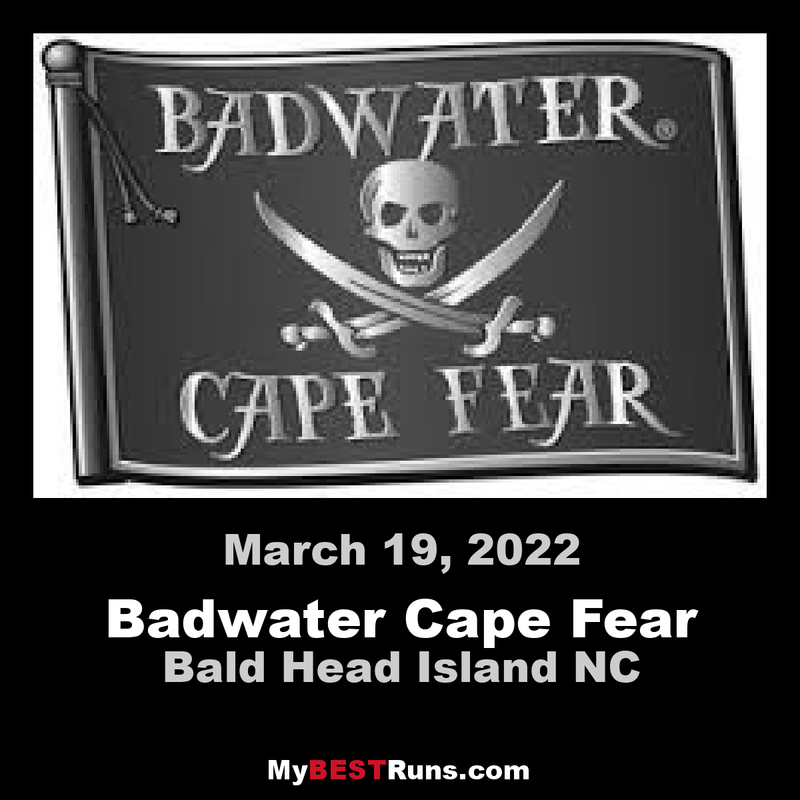 Also offered is theBadwater Cape Fear50k (32-mile) Ultra. This route includes 12 miles on Bald Head Island roads and trails, then ONE round-trip run to Fort Fisher on East Beach, making for 19.1 miles of beach running. This event has a nine hour cut-off to finish officially. All runners, regardless of distanced entered, will begin together at 745am. NOTE: The Badwater Cape Fear belt buckle is only awarded to those who complete the full 51.4-mile route within the 14 hour cut-off. Those completing the 50km route will receive a Badwater Cape Fear medal, rather than a buckle. 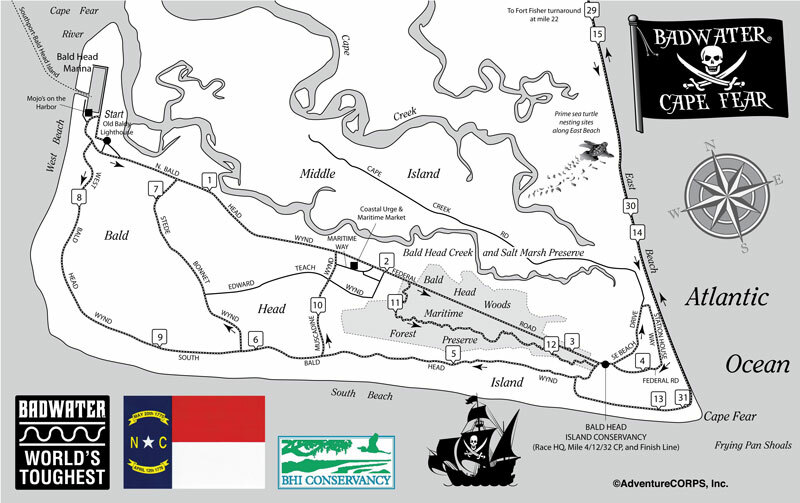 •CP1: Bald Head Island Conservancy (Race HQ): mile 3, mile 4, mile 12, and mile 32. • CP2: On the beach approximately mid-way between Cape Fear and Fort Fisher: mile 18, mile 26, mile 37, mile 46. 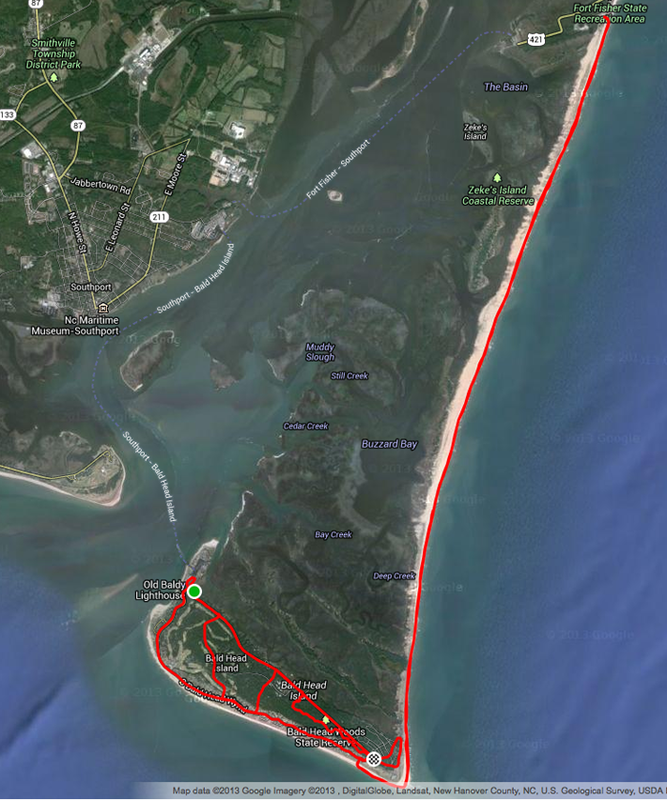 • CP3: Fort Fisher State Recreation Area Ranger Station (the northern end of the route): mile 22 and mile 42.